Do seasonal limitations frustrate your green thumb? 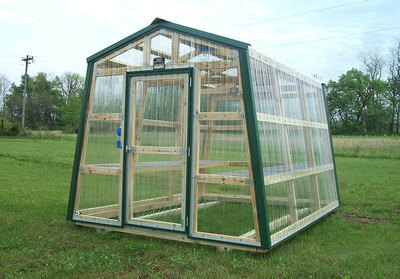 or do you want fresh foods year round? 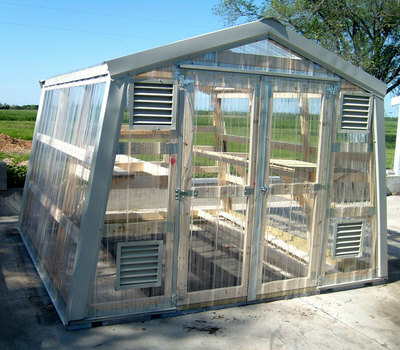 Our portable greenhouse may be your answer. We have sizes for the hobby gardener or the gardening enthusiast. Relative freedom from pests and weeds would only be a plus for someone who chooses a portable greenhouse from Sunrise Buildings. 2 ft. wide shelf on both sides of the building topped with 14 gauge galvanized wire mesh. 1 -Thermostat controlled exhaust fan.